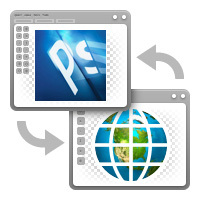 The “PSD to HTML” workflow has been one of the most popular (and de facto standard) ways to create websites. 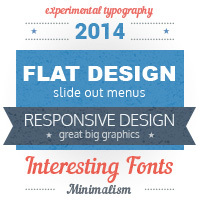 But now more and more people say about new trends in web design and that the PSD to HTML approach is dead. Many of us share links to interesting and useful resources with their followers on the social networks. I don’t know why but although usually such links are carefully selected, very few of them become popular. 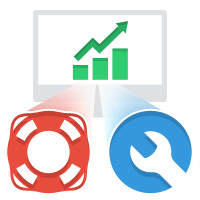 Recently I’ve analyzed posts on our Google+ account and revealed that currently articles and blog posts on CSS3 coding tricks and tips on how to write efficient CSS3 code get a lot of (+1)‘s and reshares. So, I’ve decided to collect these resources together in one place. You can find them below. Hope you like them all :). Although our blog is about PSD to HTML conversion, this time we’ll speak about another type of transformation: the website’s ability to convert a visitor into a person who performs specified actions such as to Like your content, buy your goods or subscribe to your newsletter. If design to markup coding is an important but intermediate stage of the website development, the website conversion is a final and ultimate goal of it. 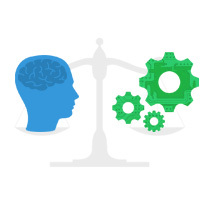 In order to effectively improve the website conversion you should learn of lot of different and somewhat sophisticated subjects: psychology, color theory, user experience, and so forth. When optimizing the conversion rate, it is not easy to achieve the best result from the first attempt, and usually numerous tests are necessary. 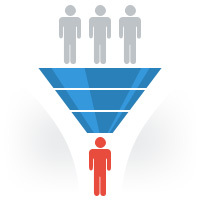 That’s why it’s important to collect and analyze the conversion improvement case studies. In this post we’ve gathered some recent tips and case studies on how to improve the website conversion rate. 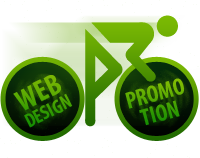 Several years ago one of the main ways to promote a website in the Internet, especially for small businesses, was SEO (search engine optimization). Often it included so called “black hat” techniques that were aimed to manipulate Google’s search results: mass link buying, spam (in the blog comments, social networks, emails, etc. ), onsite keyword spamming, hidden texts, and so forth. In many cases such SEO was quite effective. That is the reason why many website owners usually defined the key goal of their websites as “We need Position 1-3 in Google” and relied mainly on SEO firms. Will code-free design rule the scene or designers should prepare to code more? Will new frameworks and designing in the browser change the web development process once and for all? Will websites become simpler or this simplicity is very deceptive, disguising rich functionality (almost like software applications have) and reflecting a new level of user experience? Will flat UI dominate? What about infinite scrolling? Are large images and hero areas, videos in place of text, and parallax here to stay forever or will disappear in a year? What about mix and match typography or dropping the sidebar? Bold colors vs. subtle monochromatic design – what will win? Will CSS completely replace images? 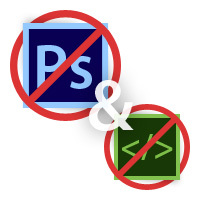 And one more important question: Will PSD to HTML die? 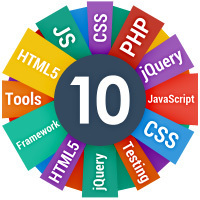 Really, web design and development have been changing so fast and dramatically now. But what new will 2014 bring? Below we’ve gathered some most interesting predictions for 2014. Hope you like the collection. Will PSD to HTML Die? If your car is good-looking but slow and unreliable, it’s a bad car. The same is true for websites. The words ‘performance’, ‘optimization’ or ‘maintenance’ may sound somewhat boring but without them the website could be useless. So, if you want to have an efficient website, learn this collection of tools, checklists and tips on the website performance & speed optimization, security measures, site maintenance, as well as about robots.txt and .ntaccess files. Why are lists of “10 Best / Popular / etc Things for Some People” so popular? Of course, such blog posts are very easy to read, understand and remember. But perhaps the main reason is that it’s some kind of game because people like to find their own favorite thing and say: “Yeah, I always knew that this CSS framework is the best one, and it was a right choice to use it in that project!” or “Oh, it’s impossible, they forgot the best HTML code editor, I must fix that right now in the comments!” In any case we’ve decided to make such a list too :). This time it’s a collection of fresh lists from other blogs which may be interesting and useful for web designers and developers. Recently WebdesignerDepot has published an interesting post by Kendra Gaines. In her article Kendra asked: Are coders an endangered species? …Sure, high-end development is necessary. Someone has to build the drag and drop tools for a start. But what about your average front-end developer, coding HTML and CSS; could they be on the brink of extinction? In this post we use a lot of words starting with the letter “F”. Really, we’ll talk about Flat web design, it’s Friday today, and it’s Funny, so why not :). Finally, a fabulous set of flat icons and UI freebies is finished for our friends and followers! For me, flat design is a very fruitful trend. First and foremost, it focuses on fundamental features rather than decoration and ‘furniture’. 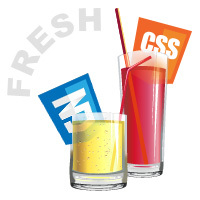 Any facet of flat websites (a ‘facade’, footer, even fonts) looks fresh and fashionable. 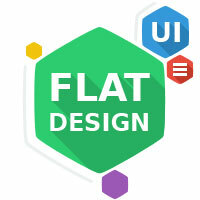 Flat design forms a new flow with better media flexibility. Where will the flat be in five years? I can’t forecast. Just a few years ago Flash was among favorites too. Even FPhotoshop might finish like those fools (sorry, tools) for which the future firstly was “forever” but in fact they were forgotten much faster than formal farewell with them or their official “funeral” took place. However frankly, I feel flat design isn’t just a fad, it’s here to stay. Enjoy the fair of flat icons below, use them in your next fantastic flat web design, and stir up the flight of your fancy.